Welcome to the world's most popular Scottish website about pianos. * Stay and learn! NOTICE: Due to teaching commitments I am not currently available for piano work. Mr Allan Wright will be pleased to help with your piano tuning requirements and can be contacted on 07970 443456. Like me, Allan has a background in tertiary education as well as in piano technology. I also recommend Mr Ben Treuhaft, a technician of vast experience in the USA and the UK. Ben is the progenitor of the Send a piana to Havana project and can be contacted on 07438 302957. Note: Ben has moved down south, but still does some work in Scotland. Serving discerning musicians for over thirty years. This site is a piano information resource. Take time to browse around, and get a pianeducation! The superb new technical book Pianos Inside Out lists this website as a useful resource in its Bibliography. Please note: I do not service or repair electronic musical instruments. Don't let this happen to you. Call me! *This is the most popular Scottish-based piano information resource in the world, according to figures from Hypestat at 16 June 2017 . It has more information than most other piano tuner websites in the world. Piano tuning, regulation and repair throughout Glasgow, the west of Scotland and beyond. 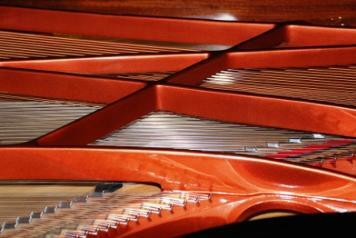 Contact me today to discuss your piano issues, straightforward or challenging! All contents of this website are the intellectual property of David Boyce unless otherwise indicated. The MP3 audio files on this site are of great pianists of yesteryear, transferred from UK vinyl LP recordings now out of copyright.